Listen and live a better life! Only 2 and a half hours, but definitely worth a credit, and worth your time as well. The 4 teachings in this book are straightforward and easy enough to understand, but have stayed with me for years. I have a small well-worn and much loved copy of this book. It's one of the few print books I've kept over the years. 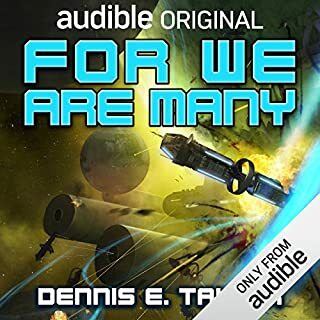 The audiobook is just as wonderful. 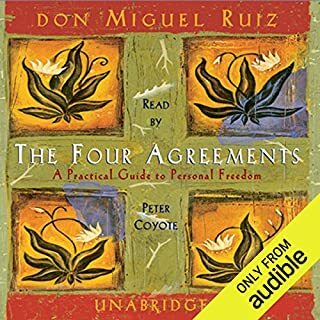 The advice in this book has helped me through both very difficult times as well as the little rough patches of everyday life. 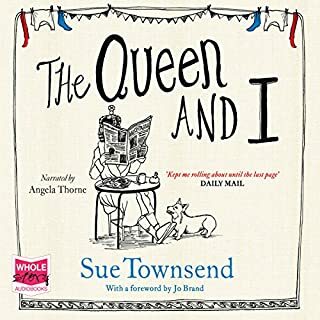 Treat yourself to this book. It's worth it and you are, too! In American, we don't frown upon excess. For many, excess is an ideal: a massive house, tons of money, lots of cars. It doesn't work though. Happiness doesn't seem to come from excess, and the pursuit of excess leads to stress and anxiety. Our society is lacking balance, and we are becoming increasingly aware of it. 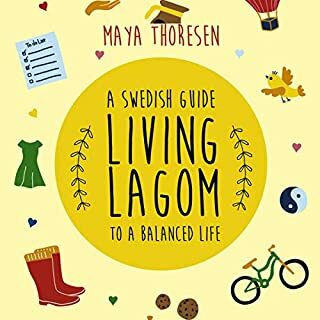 Living Lagom by Maya Thoresen offers a solution from Sweden: Lagom. Lagom is a word with no direct translation into English. It's an idea which lives at the core of Swedish society. In one sense, in means take enough, leave the rest for everyone else. Rooted deep in Swedish culture, this aspect of Lagom dates back to days days of the Vikings, with a single communal horn of mead, passed around the fire, shared by all. Drink enough, and leave plenty for your friends to have enough, too. There are many different facets of Lagom, which is what makes the concept so much more than just the idea of having enough... There really is no single word or english phrase to define it. This book offers a comprehensive explanation of what Lagom is and what it is not. There are lots of examples, anecdotes and advice on how to bring some lagom into your own life, and it really does sound appealing. I imagine many readers will find this book to be a solid, refreshing way to look at life. Do all things in moderation. Enjoy yourself. Enjoy life. Do, have, and be what makes you most happy, healthy, and content. Solid, quality content, and excellent narration, I highly recommend this book. I can't believe how long I put this book off. The cover looks so sad to me. I was sure it was a sad story. Even the title seems like the title for a book that's got to be very sad. I listen to a lot of books at work. I can not be seen sitting here sobbing at my desk. It's hard enough to be a woman working among men as it is, without crying at work... but enough about me. This book is amazing, all the way through. It;s such a good story, and so well told. 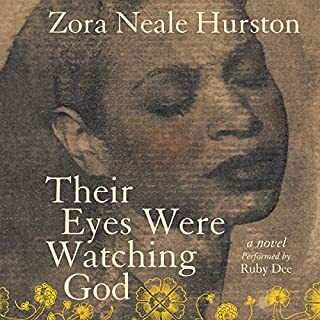 Ruby Dee reads it like it's her own story, and you're her best friend, the only person she's ever going to tell the whole thing to. Our main character, Janie, is worth knowing. She's innocent and naive as a girl, almost painfully so. She gives into the the stronger personalities around her, until she learns not to. She comes into her own and becomes a strong woman, thick-skinned enough to ignore the gossip and judgement of others and live her life. I really like that about her. She finds a happiness that would not suit most people at all, and lives it without apology. The story goes on from there. It's not a fairy tale, where happiness is a wish magically granted. It's a story about a very real character figuring herself out and finding joy in real life, hard work, and true love. I wanted to like this book. It definitely had it's strong points, such as really interesting characters, who were very lovable and relate-able. The story was interesting, definitely not boring, but I just did not get into the darker parts of the story. I saw a review that said "I love this story and listen to it before bed about every night before I go to sleep." Maybe so... Maybe there is someone who feels that way and does that, but it's for sure not a story I think most people would want to hear many times. 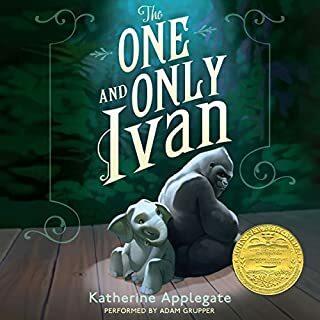 And that review sort of gave me the idea that it might be a story older kids might like. After listening to it, I don't think so. I didn't love the animal cruelty aspects of the book, but I did kind of know there was an aspect of the story that would touch on that, so I'm trying not to judge the work too harshly on that alone. I give it 3 stars because it's not a bad book, but it's not a book that left me feeling glad I bought it. I would listen to another book by the same team, provided it had nothing whatsoever to do with animals. I grew up during the cold war, and my ideas about Communism and Karl Marx were formed in that culture, in that time. I had heard from time to time that Communism "looks good on paper" with the understanding that the meaning was that it didn't work in the real world. 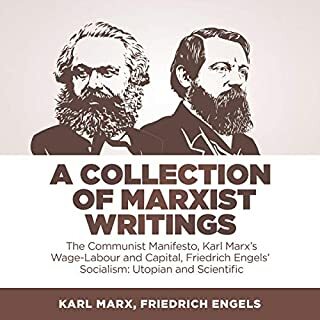 When I came across this audio book, it occurred to me that all the times I heard the "looks good on paper" line, this is the thing they were talking about, The Communist Manifesto by Karl Marx. I gave it a listen, just out of curiosity. I'm glad I did. It's a work well worth a listen, just as a historical document. Considering it was published for the first time in 1849, it was ahead of it's time on many fronts. It speaks out against slavery and racism, child labor and the position of women in society as second class citizens. The Emancipation Proclamation would not come along until 1863 in the US, and our 13th amendment formally abolishing slavery would not be ratified until 1865. Meaningful legislation against child labor would not be formally proposed in the United States until 1924, and it was not actually outlawed until 1938. Women, as the world knows, continue to struggle for equal pay and rights even today. The Communist Manifesto literally proposed equal pay for women.... in 1849. Mind blowing. Obviously, there is a lot more to the story. Gulag Archipelago by Aleksandr Solzhenitsyn, is just one work of many that shows what a nightmare life was in the Stalinist Soviet Union, just as one example of what Communism Gone Wrong looked like. Still, the works contained in this audio collection are fascinating. The narration is wonderful. I highly recommend this to anyone who is curious to know more. It's only 33 minutes long, but quickly transports you to the world of the story. The very slight amount of effects used in the audio add to the story. It's barely there, but it contributes to the story in a good way. In the cold, murky waters of the ocean floor, in an abandoned ship, the need to resurface into light and air again is overwhelming. A feeling that starts as unease and blooms into something closer to panic... That's the mood of it. The end felt like breaking the surface and taking in a deep, cold breath, leaving me ready to dive back down and explore this story some more! This book is not for Everyone... I mean, it is, but some of you won't like it. Matt Shaw is a bit dark and dirty, but in a good way. Just, not everyone wants dark and dirty. Also, the narrator might not be easily understood by those who don't have an ear for a stronger Brit accent. But! 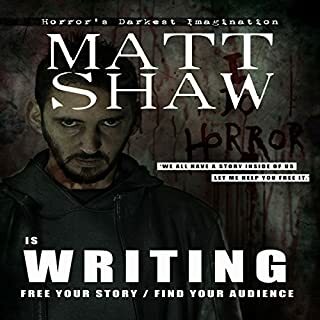 If you're looking for a good kick in the backside to get you started writing right away, and you enjoy some dark and dirty Matt Shaw, as voiced by the deliciously British Julian Seager, then, let me just say, you are in for a treat!! I actually listened to it twice, in the same day. 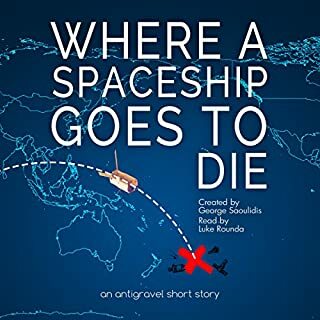 I also immediately bought Matt Shaw's Wasting Stamps on the Kindle Store and Sick Bastards as well. I found this book much more informative and useful than Stephen King's On Writing, which didn't really inspire me to write anything. Matt Shaw has made me start writing again. Give him a chance and he may just inspire you as well! I love these Bob books!! These Bob books are so good!! Please keep them coming! The audio is a little weird in some places, like it sounds obviously edited, so that's why I rated the performance as 4 out of 5 stars, but it's really ok. Unless you'd be really bothered by that sort of thing, I very highly recommend this book. I liked the subject matter straight away. The title and description grabbed my attention, so I listened to the sample and found I liked the narration as well. 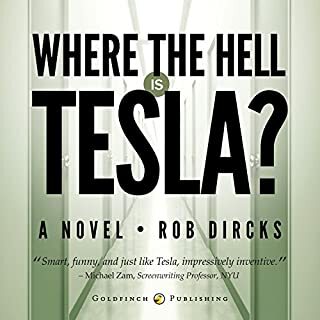 I have always been a huge fan of Nikola Tesla, and I liked the lighthearted but truly respectful way he was included in the story. The multi-verse idea is nothing new, but I really enjoyed this author's take on it. The narration was very good. Overall, I'm very happy to have found this book.